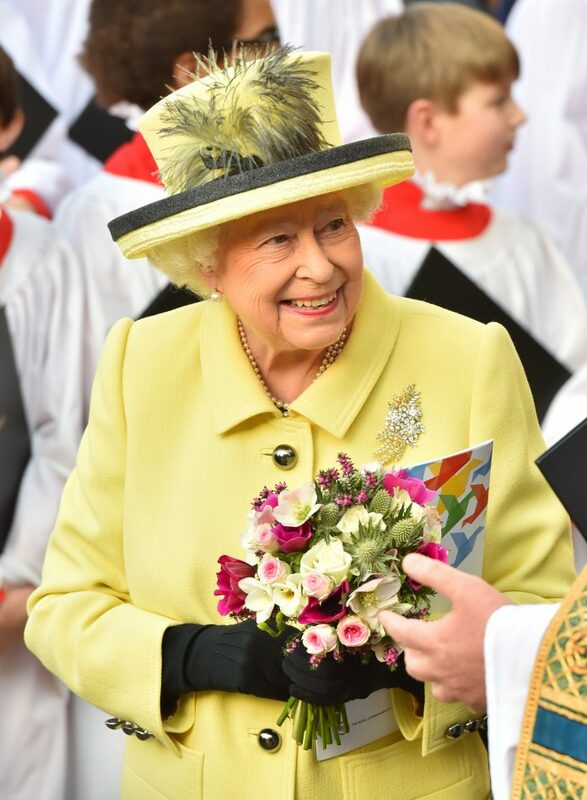 Queen Elizabeth II after the Commonwealth Day service at Westminster Abbey, London 2017. 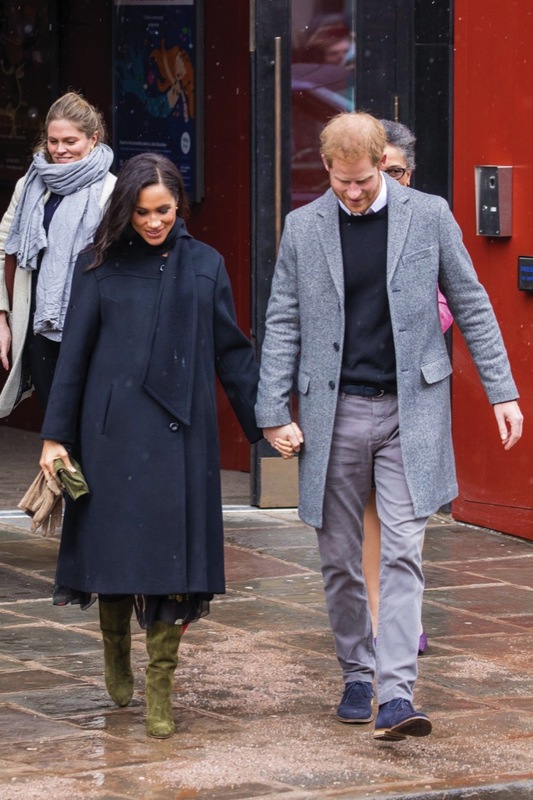 The Duke of Sussex will attend the Veterans’ Mental Health Conference at King’s College London on Thursday 14th March. The event, organised by the King’s Centre for Military Health Research with funding from the Forces in Mind Trust, will this year focus on evidence, innovation and practice. Experts in their field – from prominent academics and researchers and mental health practitioners through to journalists – will be brought together to share ideas around initiatives and best practice and discuss findings and progress on better supporting veterans’ mental health. The Duke will join delegates to listen to the opening address by the Rt Hon Tobias Ellwood, Minister for Defence, People and Veterans, and presentations throughout the morning that will focus on international perspectives on military mental health. After the morning session concludes, His Royal Highness will have the chance to meet some of the conference speakers. The King’s Centre for Military Health Research is the leading civilian UK centre of excellence for military health research. The Centre is co-directed by Professor Sir Simon Wessely and Professor Nicola Fear, who draw on the experience of their multidisciplinary team to produce relevant scientific research at the highest level. 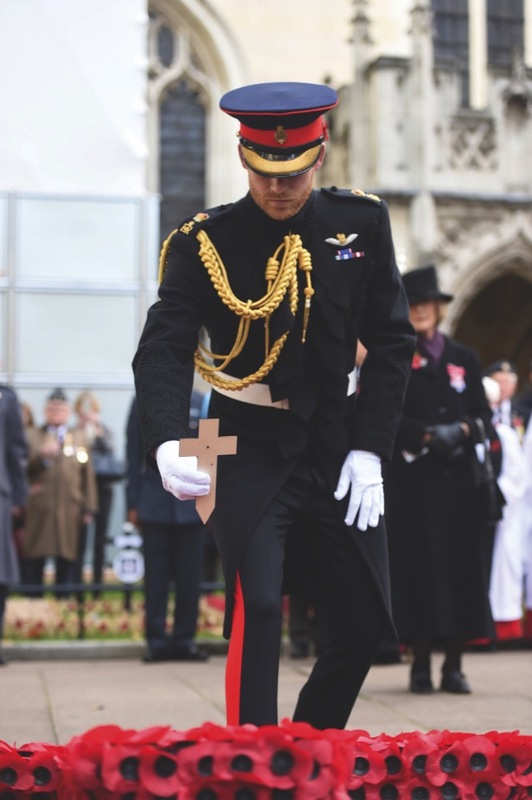 The Duke of Sussex is passionate about promoting the welfare of those who are serving or who have served their country in the Armed Forces. His attendance at the conference is part of his on-going work at The Royal Foundation with the Heads Together campaign to change the national conversation on mental health, and his work in collaboration with the Ministry of Defence aimed at improving mental health support and training across the Defence community. The Duchess of Cambridge during the V&A Photography Centre Opening at the Victoria and Albert Museum in London on October 10, 2018. The Duchess of Cambridge, will attend the 2019 Portrait Gala, held at the National Portrait Gallery in London. Her Royal Highness will meet members of the Gallery’s Youth Forum and view artwork produced by some of the National Portrait Gallery’s outreach programmes. This is the third Gala that The Duchess has attended and, as in previous years, the funds raised will directly support the National Portrait Gallery’s work. This year, the Portrait Gala will support Inspiring People: Transforming our National Portrait Gallery, a project for the complete renewal of the Gallery that will see a significant refurbishment of the building. In addition to the work at St Martin’s Place, Inspiring People will also see the Gallery’s most extensive programme of activities nationwide with plans to engage audiences’ onsite, locally, regionally and online. Activity includes a UK-wide schools programme for teaching history and art, a national skills-sharing collaboration with other museums and galleries and new partnerships with organisations throughout the country. As part of this programme the Gallery will work with museums in Cornwall, Coventry, Sheffield and Southampton on the Creative Connections project; a co-curated exhibition programme for young people, which will result in students creating new art works alongside artists and a display of portraits from the Gallery’s Collection at each venue. The Duchess of Cambridge will visit the Henry Fawcett Children’s Centre on Tuesday, 12th March, to learn more about the work being done by local organisations in Lambeth and their partners to support young children and their families. 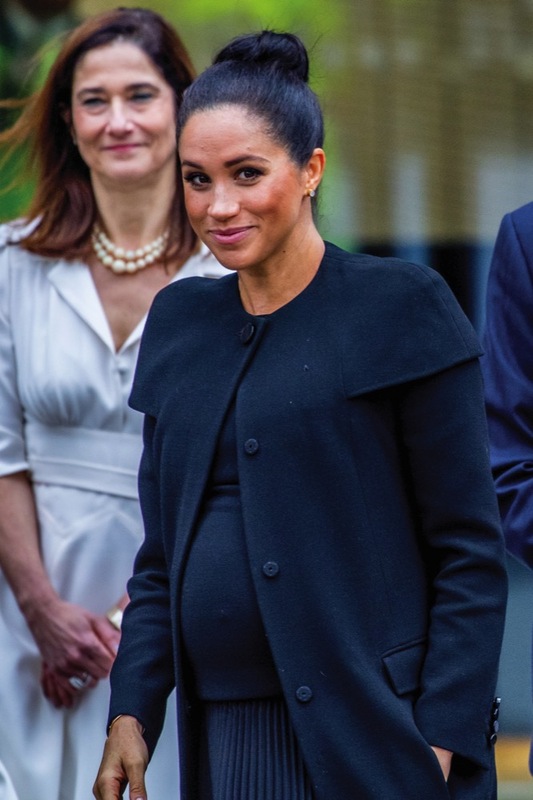 Her Royal Highness will be visiting the centre to see how the Lambeth Early Action Partnership (LEAP) are using the Parent and Infant Relationship Service (PAIRS) to support parents, carers and their children. LEAP was set up, and all their work with families is funded by A Better Start, a major 10-year funding initiative from The National Lottery Community Fund, which has supported five locations across the UK, including Lambeth, to test new ways of making support services for families stronger. 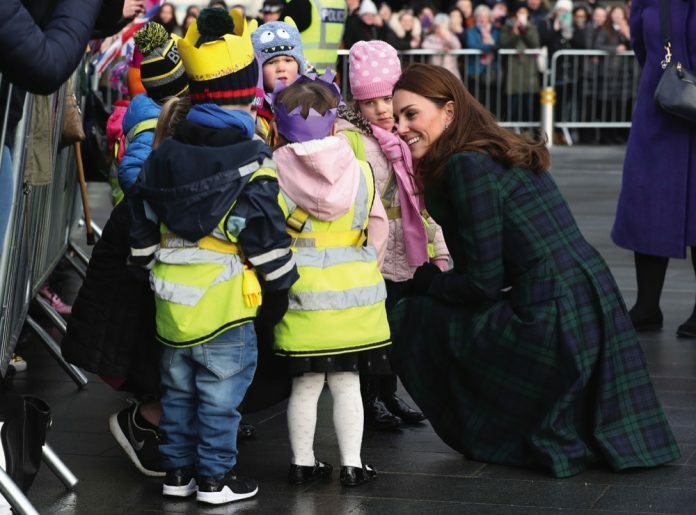 The visit continues The Duchess’s focus on Early Years, and comes shortly after The Duke and Duchess of Cambridge met with frontline service providers such as health visitors involved in delivering the Better Start programme during their visit to Blackpool. Her Royal Highness will join parents and their toddlers taking part in sessions offered by LEAP and PAIRS, called ‘Circle of Security’ and ‘Together Time’, to see different examples of what is available as part of the programme. Circle of Security is one of two universal programmes that is offered to all parents with children of 0 to 4 years. It helps parents and care givers better understand their child’s emotions, as well as supporting their child’s ability to successfully manage their own emotions and enhance the development of their child’s self-esteem. 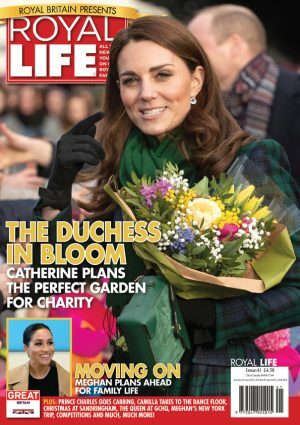 During her visit, The Duchess will meet with representatives from the different organisations working to support families in Lambeth, including The National Lottery Community Fund, the National Children’s Bureau, which coordinates LEAP, and the South London and Maudsley NHS Foundation Trust (SLaM), which has helped develop PAIRS. The Duke and Duchess of Sussex will attend an event at Canada House to mark Commonwealth Day on Monday 11th March. The event will showcase and celebrate the diverse community of young Canadians living in London and around the UK. During their visit, Their Royal Highnesses will have the opportunity to talk to groups of young Canadians from a wide range of sectors including fashion, the arts, business and academia, about their experiences as expats as well as opportunities for young people working in the Commonwealth. The Duke and Duchess will also meet young people who will demonstrate a Canadian spring tradition of making maple taffy (maple syrup cooled on snow to make sweets) as part of a traditional ‘Cabane à sucre’ or a ‘Sugar Shack’. Before departing, Their Royal Highnesses will attend a short reception and watch a musical performance. The High Commissioner, H.E. Ms. Janice Charette, will also deliver short remarks. The UK is home to a dynamic and vibrant community of expat Canadians. Up to 500,000 Canadians currently live in the UK, a figure that reflects the strong, historic and enduring bond between the two countries. 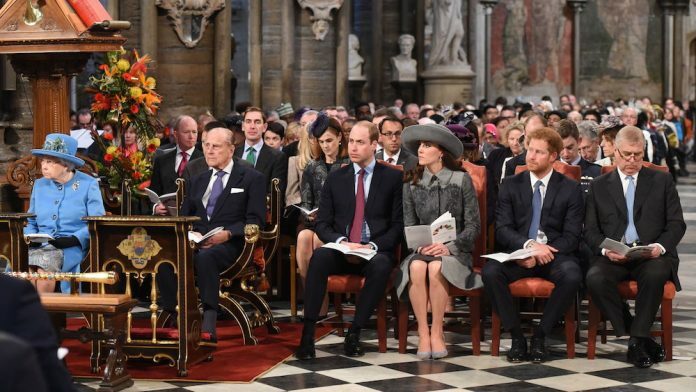 Queen Elizabeth II, The Duke of Edinburgh, The Duke and Duchess of Cambridge, Prince Harry and the Duke of York attend the annual Commonwealth Day service at Westminster Abbey, London, on Commonwealth Day 2016. Her Majesty The Queen, Head of the Commonwealth, accompanied by The Prince of Wales and The Duchess of Cornwall, The Duke and Duchess of Cambridge, The Duke and Duchess of Sussex and The Duke of York will attend the Commonwealth Service at Westminster Abbey on Commonwealth Day – Monday 11th March. Commonwealth Day has a special significance this year, as 2019 marks the 70th anniversary of the modern Commonwealth, with old ties and new links enabling cooperation towards social, political and economic development which is both inclusive and sustainable. The Commonwealth represents a global network of 53 countries and almost 2.4 billion people, a third of the world’s population, of whom 60 percent are under 30 years old. Each year the Commonwealth adopts a theme upon which the Service is based. This year’s theme ‘A Connected Commonwealth’ speaks of the practical value and global engagement made possible as a result of cooperation between the culturally diverse and widely dispersed family of nations, who work together in friendship and goodwill. The Commonwealth’s governments, institutions and people connect at many levels, including through parliaments and universities. They work together to protect the natural environment and the ocean which connects many Commonwealth nations, shore to shore. Cooperation on trade encourages inclusive economic empowerment for all people – particularly women, youth and marginalised communities. The Commonwealth’s friendly sporting rivalry encourages people to participate in sport for development and peace. Highlights of the Service include special musical performances by Grammy-winning group Clean Bandit and the UK’s biggest-selling tenor, Alfie Boe. A reflection will be given by Lewis Pugh, an endurance swimmer, ocean advocate and the UN Patron of the Oceans. Organised by The Royal Commonwealth Society, the Commonwealth Service is the largest annual inter-faith gathering in the United Kingdom. The Service will be broadcast live on BBC One and across BBC World Service, in celebration of Her Majesty’s lifetime commitment to the Commonwealth. Guests of honour among the 2,000 strong congregation will include the Prime Minister, the Commonwealth Secretary-General, The Rt Hon Patricia Scotland QC, alongside High Commissioners, Ambassadors and dignitaries, senior politicians from across the UK and Commonwealth, faith leaders and over 800 school children and young people. The Service will commence with a procession of Commonwealth Flags. The Queen and Members of the Royal Family will meet people involved in the Service and walk by the Commonwealth Flag Bearers upon departure. Later that evening, The Prince of Wales and The Duchess of Cornwall will be guests of the Commonwealth Secretary-General, The Rt Hon Patricia Scotland QC, at the annual Reception which traditionally takes place on Commonwealth Day at Marlborough House, the home of the Commonwealth Secretariat. The Queen was 26 years old when she became Head of the Commonwealth in 1952. This is an important symbolic and unifying role. As Head, Her Majesty personally reinforces the links by which the Commonwealth joins people together from around the world. Throughout Her Majesty’s reign, the Commonwealth has grown from just seven nations to 53 members. 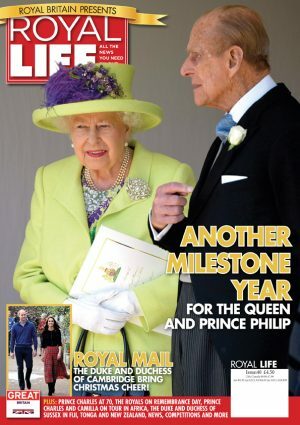 During this time, The Queen has undertaken more than 200 visits to Commonwealth countries and visited every country of the Commonwealth (with the exception of Cameroon, which joined in 1995 and Rwanda which joined in 2009) as well as making many repeat visits. There are two major projects which have been launched in recognition of Her Majesty’s lifetime of service to the Commonwealth – Queen’s Young Leaders and The Queen’s Commonwealth Canopy. Launched by The Queen at the Commonwealth Heads of Government Meeting (CHOGM) in Malta in 2015, an appeal was made to all 53 Commonwealth nations to dedicate areas of indigenous forest to be preserved in perpetuity to mark Her Majesty’s lifetime of service to the Commonwealth. Since then, around 43 Commonwealth countries have dedicated more than 8.4 million hectares of indigenous forests to this visionary initiative, with a number of countries also planting new forests. Interest in the QCC continues, with a number of countries finalising their submissions. By the time of CHOGM in 2020, it is expected that all nations of the Commonwealth will have joined the QCC initiative to create a global network of indigenous forests to benefit communities and wildlife, now, and into the future. 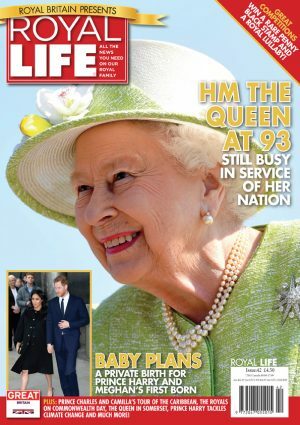 The Queen’s Young Leaders Programme was launched in 2014 by The Queen Elizabeth Diamond Jubilee Trust in partnership with Comic Relief and The Royal Commonwealth Society. The programme recognises and celebrates inspiring young people from across the Commonwealth who are taking the lead in their communities and using their skills to transform lives. Each year from 2014 to 2018, 60 exceptional young people have been selected to receive a Queen’s Young Leaders Award and become ‘Queen’s Young Leaders’ – one for every year that The Queen had served as Head of the Commonwealth at the time of her Diamond Jubilee. The complete network of Queen’s Young Leaders has now been established. Award winners and highly commended runners-up form a unique, dedicated and powerful group of young people from 53 Commonwealth countries who are connecting, collaborating and changing lives together – and will continue to do so for years to come. 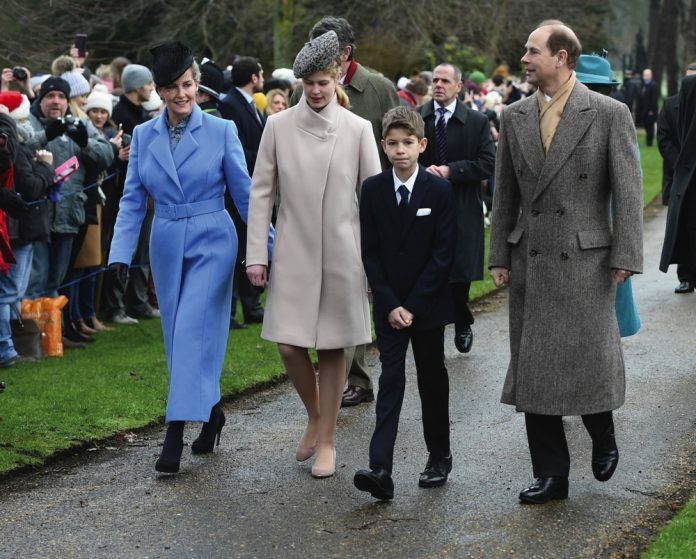 The Countess of Wessex, Lady Louise Windsor, James Viscount Severn and the Earl of Wessex arriving to attend the Christmas Day morning church service at St Mary Magdalene Church in Sandringham, Norfolk. Her Royal Highness The Countess of Wessex will host a reception to support Women Peacebuilders on International Women’s Day 2019, at Buckingham Palace. The reception will bring together key figures in women’s peacebuilding from around the world. Guests will include representatives from government, NGOs, charities and academia, as well as grassroots peacebuilding campaigners from countries affected by conflict. The event will also provide an opportunity to highlight the UK’s leading role in the Women, Peace and Security agenda (WPS) and the Preventing Sexual Violence in Conflict Initiative (PSVI). The WPS agenda aims to encourage women’s meaningful participation in peace processes, as research shows that their involvement increases the likelihood that an agreement will last longer than 15 years by as much as 35 per cent. This reception will celebrate the work of Women Peacebuilders so far and provide a forum for discussion on future efforts. The Countess of Wessex will deliver a speech at the start of the reception. Her Royal Highness will be joined by Lord Ahmad, the Prime Minister’s Special Representative on Preventing Sexual Violence in Conflict, and Visaka Dharmadasa, the founder and Chair of the Association of War Affected Women and Parents of Servicemen Missing in Action. The Countess will have the opportunity to meet with the Women Peacebuilders and hear from those campaigning and working to drive change. Over recent months, The Countess has met with several key figures working to support women’s role in the peacebuilding process and to prevent and respond to sexual violence in conflict – including Nobel Peace Laureate Dr Denis Mukwege and UN Special Representative Pramila Patten. Her Royal Highness also attended the PSVI Film Festival last year, and a recent Foreign Office Wilton Park conference on providing justice for survivors of sexual violence in conflict. The Duke of Sussex will attend WE Day UK, a global initiative to encourage young people to take part in positive social change. Over 12,000 students and teachers who have made a difference in their local and global communities will attend WE Day UK at the SSE Arena in Wembley for a full day of educational speeches, inspirational moments and show-stopping performances. His Royal Highness will give a speech in his capacity as President of The Queen’s Commonwealth Trust, a new organisation launched last year. The Commonwealth Trust champions, funds and connects young leaders who are leading social purpose ventures around the world by giving them a platform that takes their work seriously, funds their work, shares and amplifies their ideas. 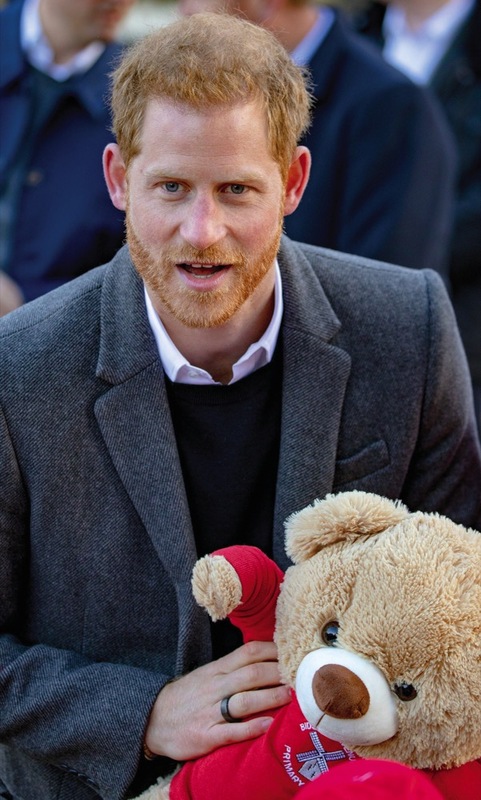 The Duke of Sussex is a keen advocate for young people to be seen as leaders and equal partners in making the world a better place. Other speakers and performers on the day include WE co-founders Craig Kielburger and Marc Kielburger; model, actress and activist, Naomi Campbell; model, self care and mental health activist, Iskra Lawrence; hit singer-songwriter, Liam Payne; Grammy-nominated singer, Nicole Scherzinger; singer-songwriter and BRIT Award-winner, Tom Walker, and more to be announced. Students attending WE Day cannot buy a ticket to the event; they have to earn it through making a commitment to undertake at least one local and one global charitable act of their choice as part of the year-long school citizenship programme. In the 2017/2018 school year, over 4,000 UK schools and groups volunteered over 860,000 hours and collected over 115,000 kilos of food for local foodbanks through WE Schools. Together, finding their passion for taking action on causes including homelessness, food security, the environment, education and access to clean water. Queen Elizabeth II looks at artefacts as she meets with GCHQ Director Jeremy Fleming and historian Tony Comer during a visit to Watergate House in London to mark the centenary of GCHQ, the UK's Intelligence, Security and Cyber Agency. Her Majesty The Queen will visit the Science Museum in London on Thursday 7th March to announce its summer exhibition, Top Secret, and unveil a new space for supporters, to be known as the Smith Centre. Tracing its origins from the Great Exhibition in 1851, the Science Museum aims to ignite curiosity among visitors of all ages through iconic objects, exhibitions and stories of scientific achievement. Her Majesty’s visit will celebrate the technology of communications. On display will be iconic objects, including an enigma machine, loaned to the Science Museum for Top Secret: From Ciphers to Cyber Security by GCHQ. Also present will be the original NeXT computer used by Sir Tim Berners-Lee to design the World Wide Web in 1989. Upon arrival, The Queen will be greeted by primary school students participating in an activity with beebots – robots designed for use by young children. During the visit, Her Majesty will view objects connected with the Top Secret exhibition and meet school students involved in computer coding sessions. Her Majesty will tour the Smith Centre to meet supporters and employees who will benefit from the new space, which will be used for networking, events and lectures. On display will be a painting by Terence Cuneo depicting an electrical engineering workshop. The Queen will unveil a plaque to officially open the Smith Centre, to conclude the visit. 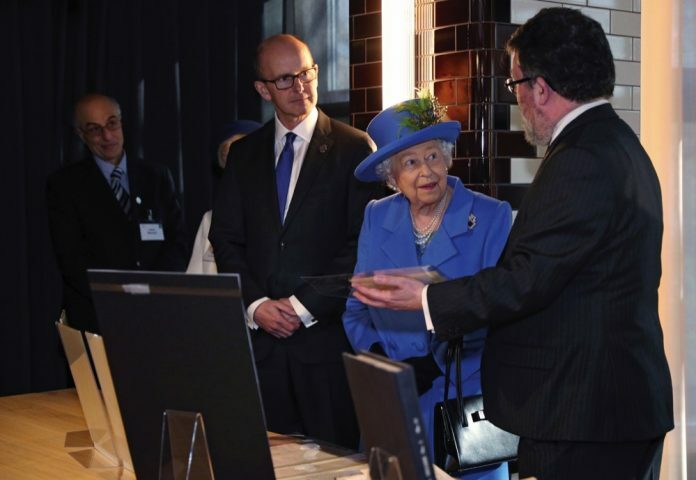 Her Majesty has previously visited the Science Museum on a number of occasions, in 1938, 1996, 1988, 2006 and most recently in 2014, when The Queen opened the Information Age gallery by sending her first tweet. With over three million visitors per year, The Science Museum’s world-class collection forms an enduring record of scientific, technological and medical advancement from across the globe. The Smith Centre occupies a building originally constructed in 1890. The design reflects the rich history of the Museum across four rooms, preserving many of the building’s original features.